Counselling Skills for Working with Shame helps professionals to understand and identify shame and to build shame resilience in both the client and themselves. Shame is ubiquitous in counselling where there is an increased vulnerability and risk of exposure to shame. While many clients experience feelings of shame, it is often overlooked in the therapeutic process and as a result can be left untreated. It is particularly pertinent when working with clients who have experienced trauma, domestic or complex abuse, or who struggle with addiction, compulsion and sexual behaviours. Written in an accessible style, this is a hands-on, skills-based guide which helps practitioners to identify what elicits, evokes or triggers shame. 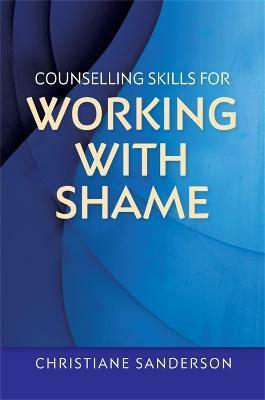 It gives a general introduction to the nature of shame in both client and counsellor and how these become entwined in the therapeutic relationship. It focuses on increasing awareness of shame and how to release it in order to build shame resilience. With points for reflection, helpful exercises, top tips, reminders and suggestions for how to work with clients, this is a highly practical guide for counsellors, therapists, mental health practitioners, nurses, social workers, educators, human resources, trainee counsellors and students.